I originally made these ornaments last year as part of My Very Educated Mother’s No Ugly Ornament series. Have you seen those DIY mirror ornaments you can hang inside your tree to reflect your string lights? 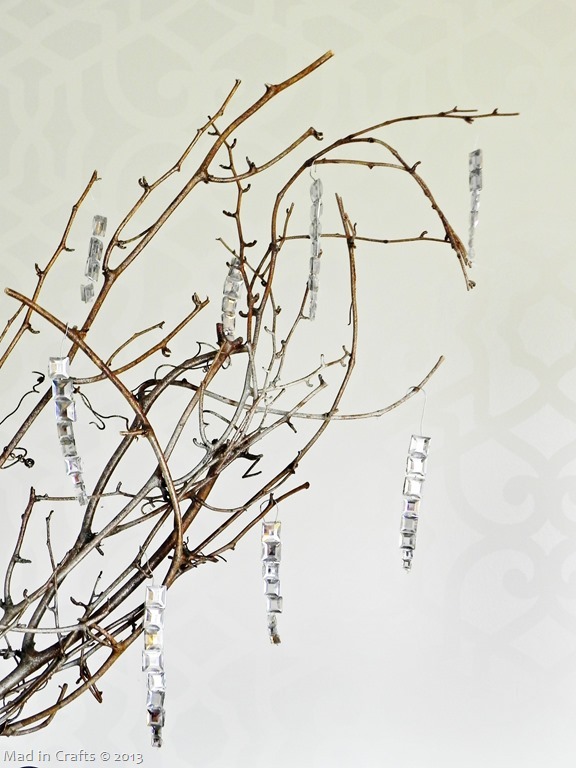 They are meant to add to the sparkle and glitter of your Christmas tree. I wondered if there was a way to create decorative ornaments that could do the same thing, without having to be hidden deep inside the tree. 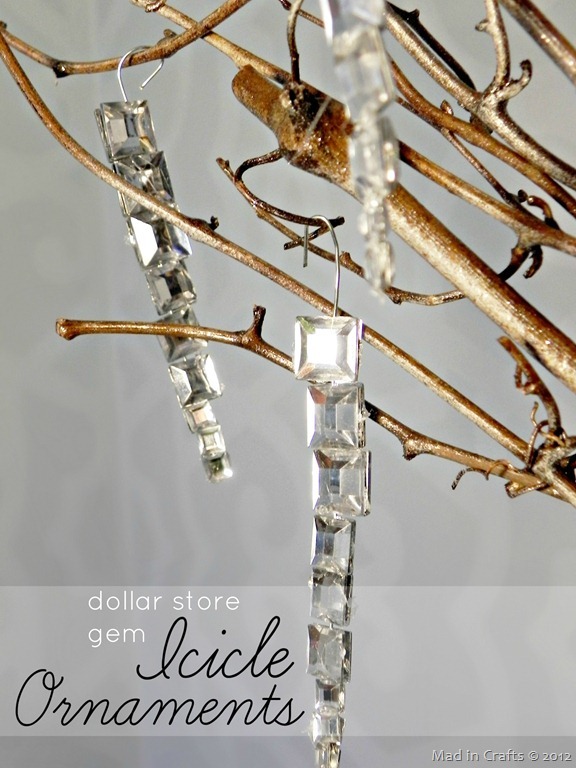 The result of my experiments were these Dollar Store Gem Icicle Ornaments that add some icy bling to your decorations. Watch this short video to see how to assemble these pretty ornaments, or you can scroll down for the step out instructions. I release crafty videos like this twice a week, so subscribe to my YouTube channel so you don’t miss out on the fun! Dollar Tree sells these craft gems in a few different colors. 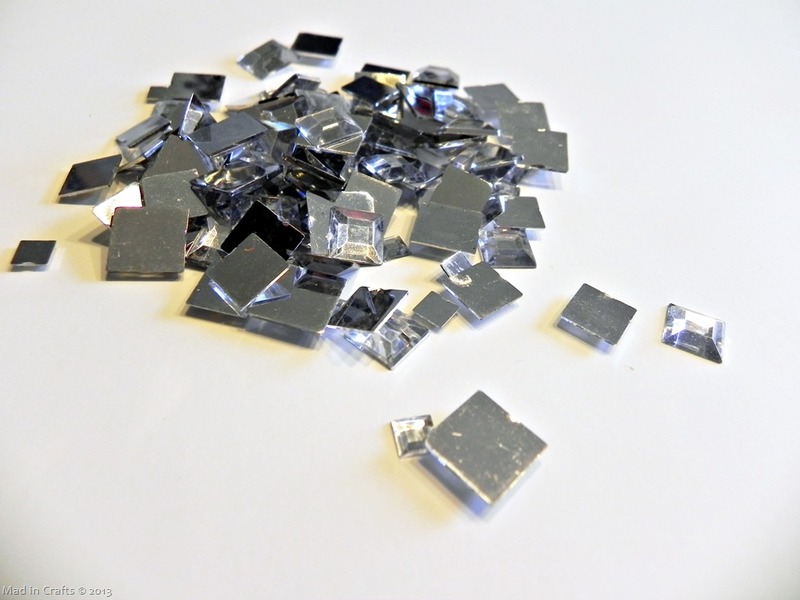 In addition to the faceted gem side which reflects light in multiple directions, the flip side is mirrored! They are perfect for this project. Start by cutting 4 inches of floral wire with your floral snips. Straighten the wire out as best you can. 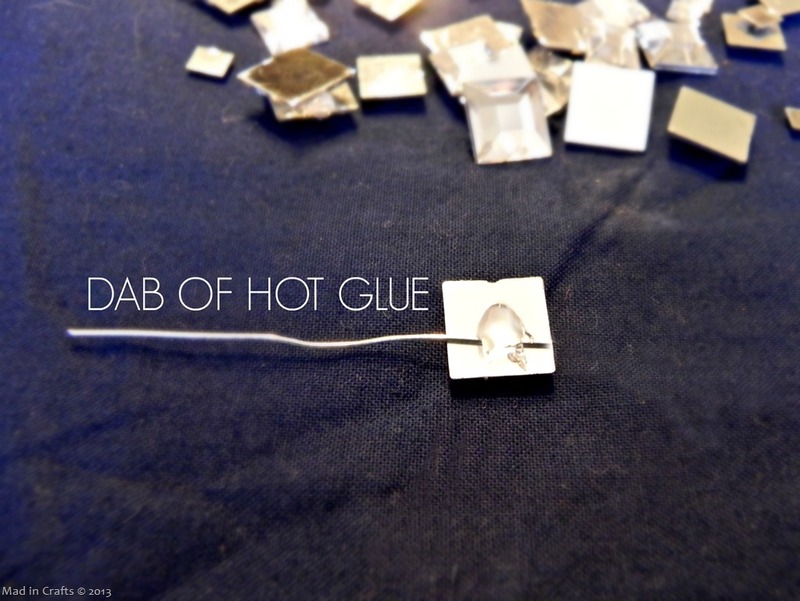 Starting at one end of the length of wire, put a dab of hot glue ON THE WIRE. Set the hot glued wire down onto the gem, and quickly set another gem of the same size on top of the glue. 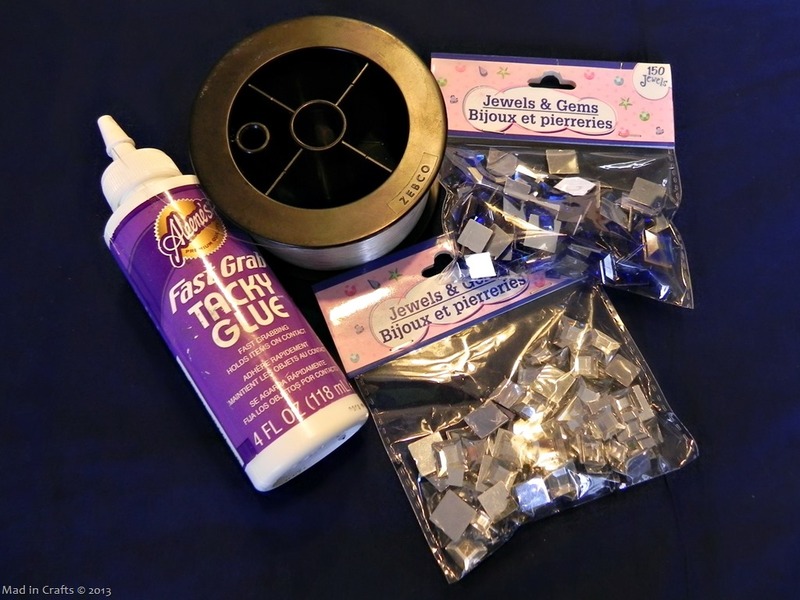 You need to move quickly because the low-temp glue sets quickly! 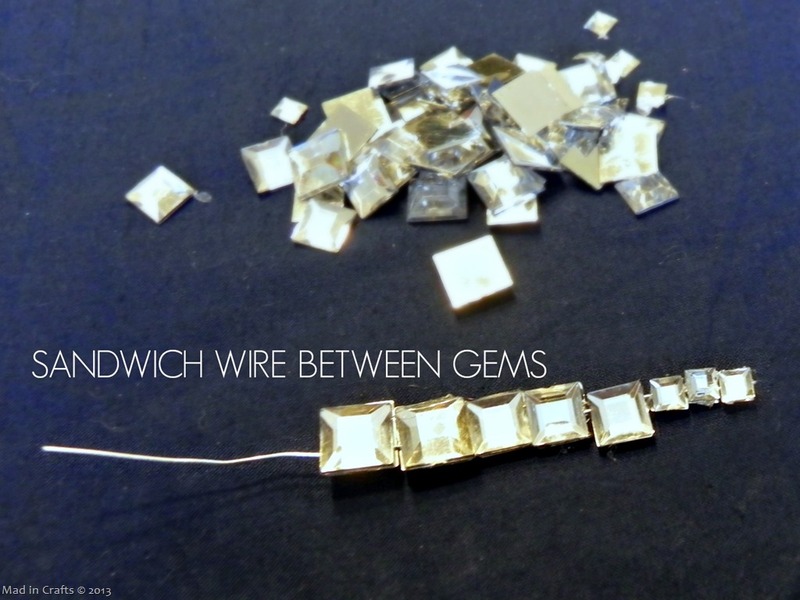 Keep sandwiching gems up the length of the wire, adding larger gems as you go to create an icicle shape. 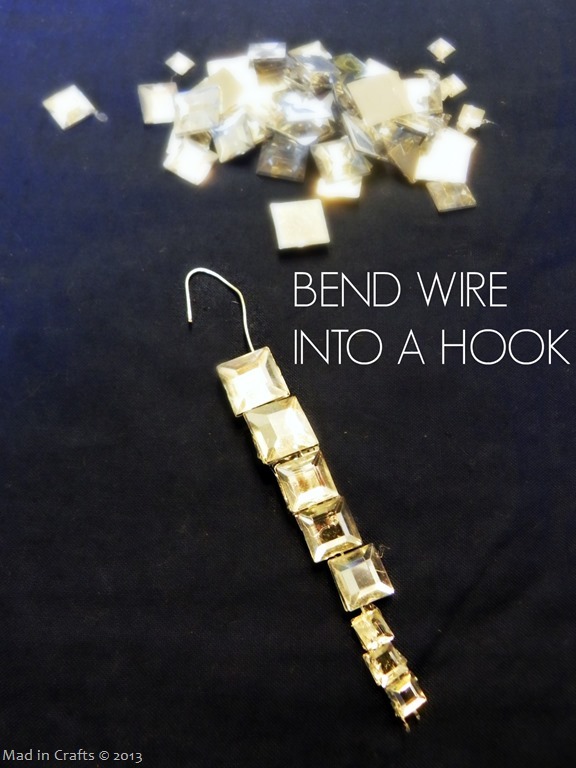 Wait a few more seconds for the glue to set and bend the leftover wire into a hook. It’s ready to hang! The icicle ornaments catch the light just how I hoped they would. You can use them in place of garland or tinsel or you can tuck them deep inside the tree to reflect your lights. 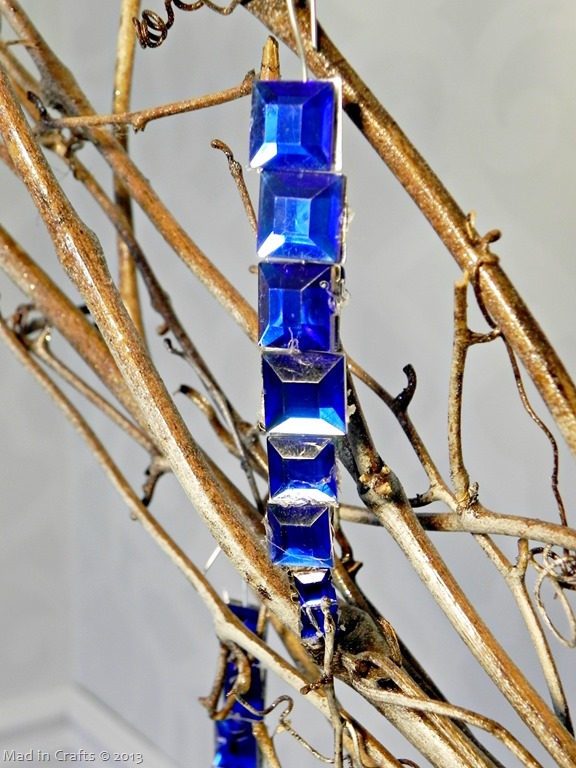 I also made a few of the icicles using the blue gems as well. 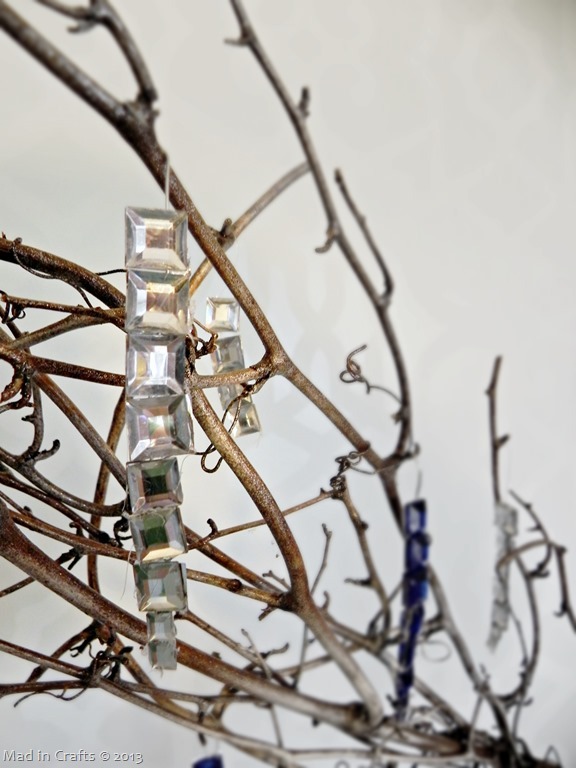 They don’t reflect the light quite as well as the white ones, but they do add some gorgeous jewel tones to a tree! 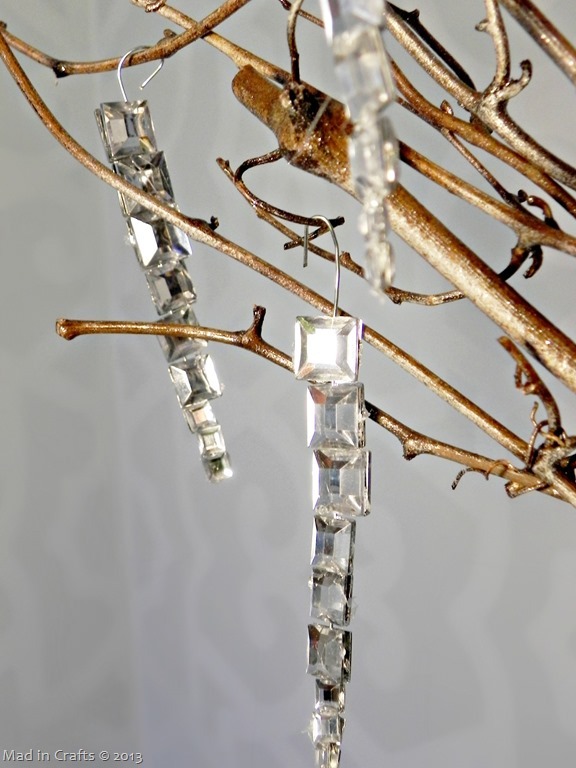 I think these icicles would be lovely on a tree, hanging from some silvery branches, or hanging from the edge of a decorated mantel. Where would you hang these pretty pieces? L. O. V. E. T H I S !!!!!! !